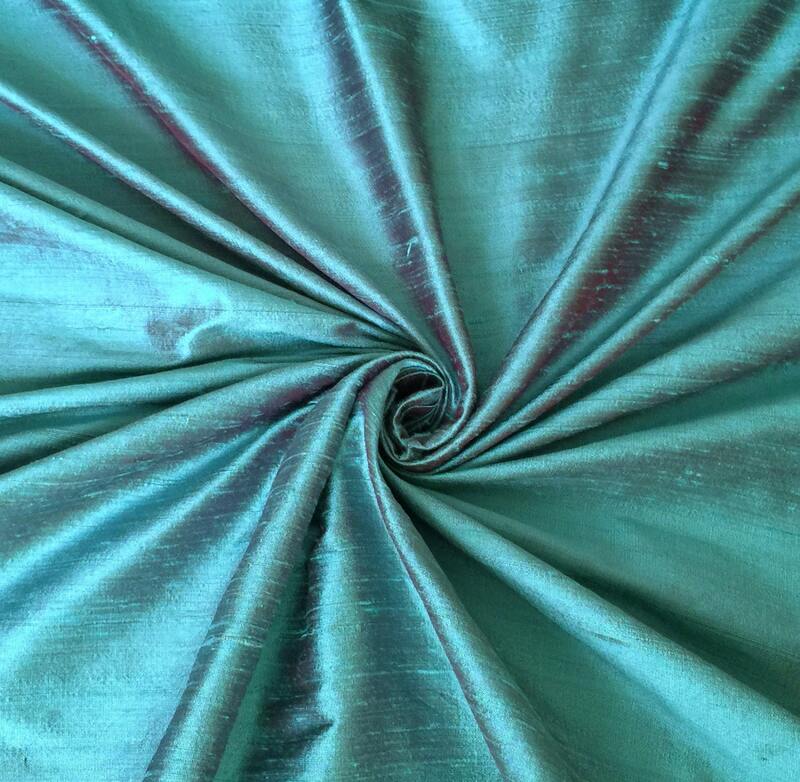 Turquoise Burgundy iridescent dupioni silk fabric. Brand New High-End Dupioni Silk Fabric Yardage. 45 inches wide. This turquoise dupioni has a lovely iridescence with burgundy! Absolutely gorgeous fabric at a reasonable cost, extremely fast shipping, and a dream to work with! Highly recommend! Gorgeous, gorgeous shade of turquoise!! I LOVE the color. Very pleased- super fast processing and delivery, always happy with my dupioni here.